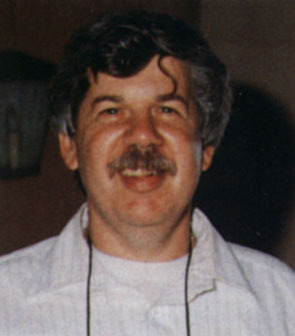 Stephen Jay Gould said that his interest in paleontology was sparked by a visit with his father to the American Museum of Natural History when he was five years old, looking in awe at the towering Tyrannosaurus skeleton. He studied at Antioch College and Columbia University, and became one of the most respected and influential evolutionary biologists of the 20th century. With Niles Eldredge, Gould developed the Theory of Punctuated Equilibrium, proposing that evolutionary change happens in fits and starts rather than, as other scientists have maintained, as an ongoing, steady process of slow change. According to their theory, there are extended eons in which many or most species in a given region show little evolutionary change until, suddenly in geological time, a new species arises, triggering relatively rapid evolutionary change. Their theory has not been universally accepted, but it has generated lively debate among experts in evolutionary science. Gould stated that scientists should resist the assumption that every biological feature exists for some adaptive, evolutionary purpose, arguing instead that many biological features arise and fade by evolutionary happenstance. For challenging certain aspects of the modern Darwinian framework, Gould's work was sometimes misunderstood and cited by "creationists", though Gould himself had no patience for such beliefs, and testified in a landmark 1981 legal case, McLean v. Arkansas, that "creation science is not science". He wrote numerous books and essays on a wide array of topics, including arguments against jingoism and racially biased intelligence tests, biographical essays on long-dead scientists, and explorations of the gray area between science and religion. His writings made him a celebrity scientist on a level approaching Albert Einstein or Carl Sagan. He was an aficionado of Gilbert and Sullivan operettas and an enthusiastic fan of baseball, particularly partial to the New York Yankees. Despite the advent of personal computers, he eschewed such technologies and wrote all his books on old-fashioned typewriters. Gould overcame a 1980s bout with abdominal mesothelioma through experimental treatments, but in 2002 he succumbed to an unrelated cancer in his bed, at home in Manhattan. For the last months of his life his bed had been in his library, for easier access to his sizable collection of books. Adenocarcinoma, a type of glandular cancer. Jewish by family and culture, he referred to himself as a "Jewish agnostic".